• 31 Dec 2010 – TOAST Trust No. 14 has been terminated. The chestnut gelding, “Look At Me” was sold to one of “Look At Me” stakeholders for $20,000. • 4 Dec 2010 – All TOAST members can dine in Kichi Kichi Hotpot with the new 20% Privilege card with immediate effect. Please view www.expressrotaryhotpot.com for more information on Kichi Kichi Hotpot outlets. • 30 Nov 2010 – Mr Ron Tan, a stakeholder in TOAST Trust No. 17 and 18 said, “I am proud to be a TOAST Trust stakeholder and strongly believe that TOAST provides an excellent platform for amateur first-timers such as myself to be exposed to horse racing industry. My daughter is an ardent nature lover, and I remember my son, in his boyish days, even think of himself as a black stallion and would only gallop around and refused to walk like a boy should. We are excited as a family to be part of the trust and look forward to meeting different people from various backgrounds within the organization”. Mr Ron Tan is a partner of First Alverstone Partners, a private equity group based in Singapore. 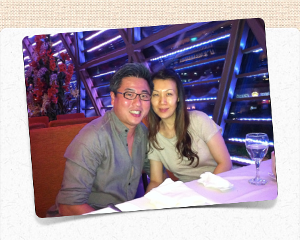 Mr Ron Tan and his wife Surene. • 24 Nov 2010 – Let us give our condolences to the family of late Tun Dr Lim Chong Eu for their loss of a remarkable man who was not only a highly respected Politian, but also one who took immense pleasure in horse breeding. Dr Lim was Penang’s former chief minister and a key contributor to Penang’s economic success today. In the eyes of the public, he was an imperative figure in Malaysian politics and had played a big role in the country’s history. At a personal level, he had been a great friend and advisor to TOAST as he had given sound advices to TOAST during the initial growth of TOAST which was established since October 2003. It was Dr Lim’s proposal to restrict TOAST Ordinary Members to horse lovers, who have time, passion and potential contributions to TOAST and the Singapore horse racing industry as a whole, by invitation only. This is to maintain a high level of quality, trust and confidence in TOAST member base, which is underway. Dr Lim had also encouraged TOAST to have Mr Bill Tan Tjo Tek in the organization as Mr Tan, who is now TOAST Vice President, is another man who loves horses and will contribute to TOAST’s development. Unfortunately, TOAST has not been able to actualize Dr Lim’s suggested scheme about featuring a horse race sponsorship to boost TOAST’s publicity. On the horse racing scene, Dr Lim was a co-breeder of several good horses, including “Storm” which had won the $150,000 Silver Cup and $250,000 Raffles Cup in Singapore in 1993, becoming the first 3yo to win a classic race on the Malaysia-Singapore circuit at the Silver Cup. It is disheartening that Dr Lim had not been able to interest his family into taking up his horse breeding hobby. Casual gathering with Tun Dr Lim Chong Eu by Ms Constance Cheng and Ms Julia Ho during a visit to Penang in July 2010. 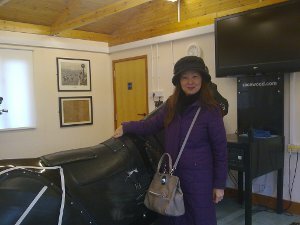 • 26 Oct 2010 – TOAST President and Treasurer made a visit to The British Racing School (BRS) at Newmarket, England. They were honoured to have a guided tour around BRS during the visit, together with 4 other officials from Korean Racing Authority who were there to learn from BRS on the operations of a racing school in preparation of setting up their own riding school, expected in 2014. TOAST President and Treasurer were amazed by the facilities and training programmes available at BRS. Set-up by 2 Grants and with operations funded by the British Government, BRS is the Centre of Excellence for training in the racing industry with 1st class technology and training equipment. There are 4 horse simulators (3 costing about 10,000pounds each; and 1 with sensors costing about 40,000pounds from Racewood Simulators), indoor training arena, 2 all weather gallops and a variety of grass gallops just to name a few. The new Foundation Apprenticeship course work that lasts for 9 weeks provides top quality training and is opened to complete beginners. 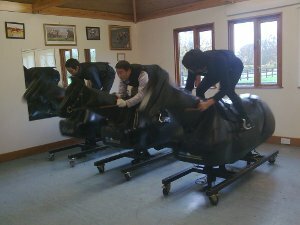 The Training Instructors are mainly ex-Jockeys who must go through 9 months of instructor training. The instructors speak through microphones when they conduct the course to ensure that trainees are able to hear them clearly and make use of radio and earpieces to communicate with trainees when they are riding on the horses. Trainees will be taught of all the basics they need to know of racehorses as they look after 2 horses each out of the 70 retired racehorses at BRS, replicating the working environment at a racing yard. They are given the official BRS Riding Kit after 2 weeks into the course. Upon 6 weeks into the course, trainees are given the opportunity to ride on the horses at full race speed which will be videoed and reviewed by the instructors with the trainees. Following the 9 weeks Foundation Apprenticeship course work, qualification is completed in the workplace through the National Vocational Qualification (NVQ) Level 2 in Racehorse Care together with Key Skills and Advanced Apprenticeship NVQ Level 3 in Racehorse Care and Management and Key Skills which will take about 2 years. The full training provided by BRS guarantees a job in the horse racing industry. Horse Simulators with 3 Korean trainees in practice. Ms Julia Ho with the Horse Simulator with sensors. • 25-28 Oct 2010 – TOAST President, Ms Constance Cheng, TOAST Treasurer, Ms Julia Ho, TOAST Vice-President, Mr Bill Tan Tjo Tek, and his wife went for the Tattersalls Autumn Horse In Training Sale 2010 and acquired three 3 years old English Thoroughbred Racehorses, forming TOAST Trust 17, 18 and 19. 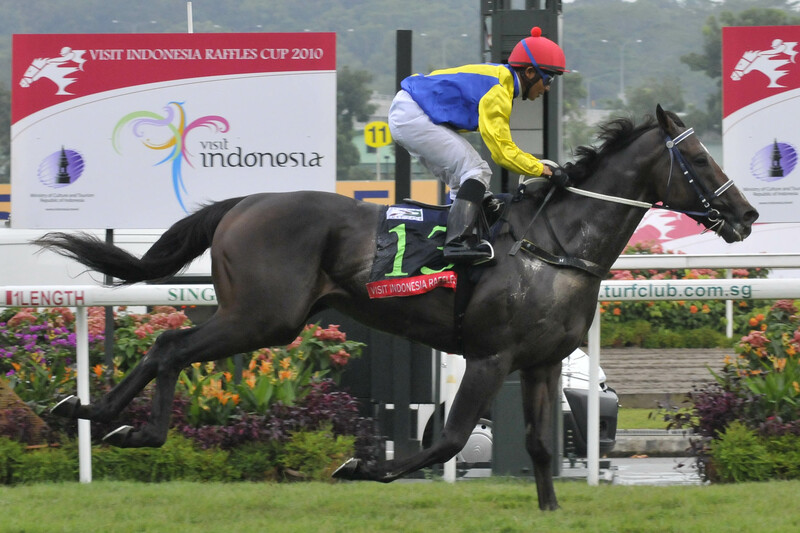 • 24 Oct 2010 – Congratulations to Tang Weng Fei of Jupiter Stable for the terrific thumping twelveth win by the Kranji Superstar, “Better Than Ever”, in the $500,000 Group 1 Visit Indonesia Raffles Cup 1800m. With this win, the Laurie Laxon-trained champion has snared two Legs of the Singapore Triple Crown Series, earning a $50,000 bonus for his owners and has amassed stakes money in excess of $1.6 million for Jupiter Stable. "Better Than Ever" winning the Raffles Cup. • 16 Oct 2010 - 4 Dec 2010 – TOAST wrote to the STC criticizing the transparency and professionalism of the deliberation of objections by the Stipendiary Stewards. This issue was brought up due to the overruling of the Objection lodged for Race 7 on 15 Oct 2010, by App TR Barnabas, the rider of third placed horse, SENAPATHY, against HAPPY FORTUNE, placed second, on the grounds of interference making the turn into the straight. TOAST and many others felt that given that kind of interference at the turn into the straight, with Happy Fortune going all out to move forward disregarding the interference to other horses, and a mere margin of 0.2L, there were more than sufficient grounds to warrant a reversal of placing. Please refer to TOAST website “Dialogue with STC” for more details of the correspondences with STC (for TOAST members only). Group races and Sponsored races will be run irrespective of number of entries and/or acceptors. All other races (except races over 1800 metres or longer) will be cancelled if there are less than 6 acceptors at time of final Acceptances. Races of 1800 metres or longer will be run if there are at least 4 acceptors at time of final Acceptances. This was introduced in 2009 to encourage the importation of more horses that can run over longer distances. 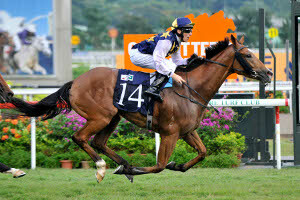 • 3 Oct 2010 – Congratulations to Mr Tang Weng Fei of Jupiter Stable for the fantastic eleventh win by “Better Than Ever” in the $500,000 Group 1 Panasonic Kranji Mile 1600m. In a superb effort, “Better Than Ever” won his stablemate “Waikato” (2nd place) narrowly by a neck right at the last stride and with “Ghozi” (3rd place) a further one and a half lengths behind. With this win, “Better Than Ever” has excelled into an all-time record of 11 wins in a streak, achieving a record that no other horses have accomplished before. 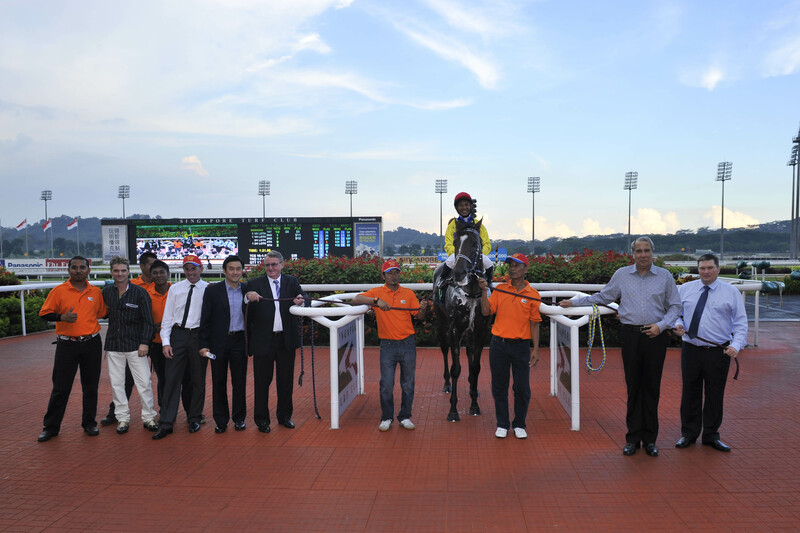 Mr Tang Weng Fei (centre) with Trainer Laurie Laxon (on his right) and Jockey Saimee Jumaat (on his left) after "Better Than Ever" won the Kranji Mile. • 25 Sep - 1 Oct 10 – TOAST President, Ms Constance Cheng, together with TOAST members, other owners and Singapore Turf Club officials, went for an Irish trip to attend the Goffs Orby Yearling Sale 2010, organized and partially subsidized (800 Euros per person) by the Irish Thoroughbred Marketing to promote the Irish Racing Industry. The trip included a city tour around Dublin, Connolly’s Red Mills Horse Feed Factory, The Irish National Stud, Gilltown Stud, Kildangan Stud and Racing at The Curragh Racecourse. The trip goers also met up with Trainer John Oxx. Stallion “Sea The Stars” at Aga Khan's Gilltown Stud in Ireland (The stallion is owned by a Hong Kong owner Christopher Tsui). 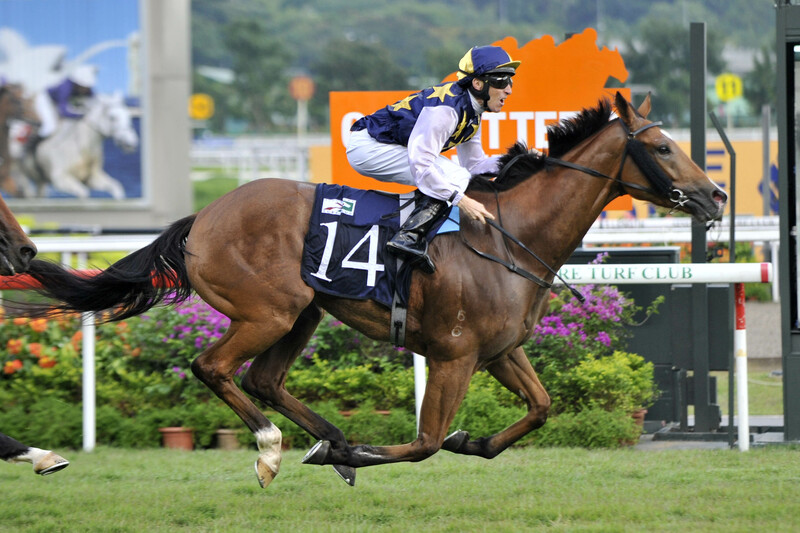 • 12 Sep 10 – Congratulations to Mr Bernard Lee of Horizon Stable for the excellent victory by “Always Certain”, in the Group 3 $200,000 Committee’s Prize 1600m. Jockey Danny Beasley, the regular jockey of "Always Certain", had paced "Always Certain" very well to a comfortable win against "Ghozi" (2nd) and "New Rose Wood" (3rd). "Always Certain", under Trainer Michael Freedman, stopped the clock at 1 min 33.85 sec, a new course record, taking 0.26 sec off Intercept’s time recorded in winning back in May. "Always Certain" winning the Committee's Prize. • 8 Sep 2010 – All TOAST members are entitled to a 10% discount at Cheval Café, located next to Singapore Turf Club Riding Centre at 10 Woodlands Ave 3 Singapore Turf Club Riding Centre Singapore. • 24 Aug 10 – Our TOAST President, Ms Constance Cheng, is one of the 12 donors to the President’s Challenge 2010 for a copy of the PA 50th Anniversary Commemorative Book “We Are One” specially autographed by our Prime Minister, Minister Mentor, Senior Minister Goh and PA Deputy Chairman. The amount donated by Ms Constance Cheng was S$26,800. 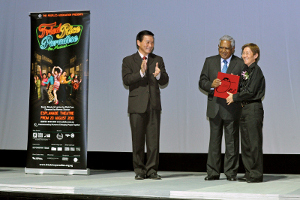 Book presentation to Ms Constance Cheng by President S R Nathan at the Presentation Ceremony and Gala Show of the PA Musical – The Fried Rice Paradise held at the Esplanade. "Better Than Ever" with Owner Tang Weng Fai, Trainer Laurie Laxon and Jockey Saimee Jumaat after winning the Jumbo Jet Trophy. It is the duty of the Stewards to lodge objections when required even when jockeys do not do so. Upon objections, the race videos should be reviewed immediately and critically, and results of the races should only be released and confirmed after the Stewards’ review and final decision. • 3-5 Jul 10 – TOAST President and Treasurer with 2 other friends, TOAST member Ms Doreen Choo and Ms Julia Khoo, were invited by Dato Seri Teh Choon Beng, committee member of Penang Turf Club and Malayan Racing Association, to attend the RM1,000,000 Malaysian Group 1 Astro Wah Lai Toi Sprint Trophy 1400m at Penang Turf Club (PTC). 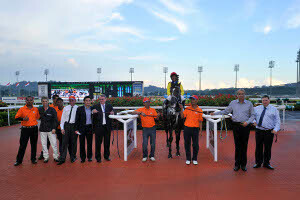 It was an exciting race which was won by a Malaysian gelding, “Perfect Pins”, trained by Trainer K L Chong. They had an enjoyable time at PTC as they met up with many other friendly Penang horse fraternities. Group photo taken over lunch at Penang Turf Club before the race. Left to right: Dato Teh Choon Beng, Ms Constance Cheng, Ms Julia Khoo, Ms Julia Ho, Ms Doreen Choo and Mr Crispin Bennett.